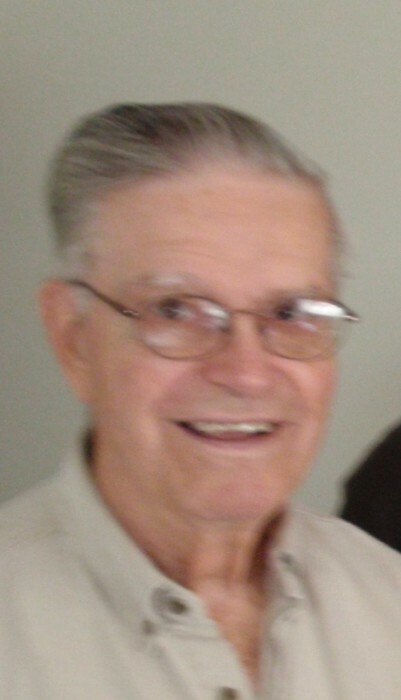 Obituary for Roger G. Van Tassell | Edder Funeral Home, Inc.
Roger G. Van Tassell, 87, of Erie and formerly of Lake City, died Tuesday March 19, 2019 at Erie Veterans Affairs Medical Center. He was born July 18, 1931 in Jamestown, New York, a son of the late T. Stewart and Agnes L. (Johnson) Van Tassell. Roger graduated from Strong Vincent High School in 1949. Following high school he studied Accounting at Penn State University, and in 1951 he enlisted in the United States Marine Corps. He was wounded in action during the Korean War and received the Purple Heart Medal, National Defense Service Medal, Korean Service Medal with 2 Stars, United Nations Service Medal and Good Conduct Medal. After his discharge from the military Roger managed several Warren Radio and Studio One stores in western New York and Pennsylvania, retiring in 1997 after 36 years as comptroller. He also owned the Thunderbird Motel in Erie for many years. In his retirement he served as chairman of the Supervisory Committee of Conrail Credit Union. Roger was a member of the First Alliance Church in Erie, Tyrian Commonwealth Lodge No. 362 F & AM, Life Member, Scottish Rite Valley of Erie, Zem Zem Temple, Legion of Honor and the Cycle Corps. He was a past member of the Maennerchor Club, Siebenbuerger Club and the East Erie Turners. Roger enjoyed golfing and bowling, and served as founder and president of his golf league and president of his bowling league. He also enjoyed watching sports on television in his spare time. In addition to his parents he was preceded in death by his wife in 2012, Patricia A. Pelkowski Van Tassell, whom he married on December 7, 1972 in Erie a son, Todd Van Tassell and a brother, Jack Van Tassell. He is survived by his three sons, Robert "Logan" Van Tassell of Woodbridge, VA, Douglas Pelkowski of Medora, IN and David Pelkowski of Bremerton, WA; a sister, Jeanne Kaehly of Erie; five grandchildren, Danielle Van Tassell, David Van Tassell, Kristen Van Tassell, Shaun Pelkowski and Laura Pelkowski; thirteen great grandchildren and several nieces and nephews. Friends may call on Friday (TODAY) from 5 p.m. to 8 p.m. at Edder Funeral Home Inc., 309 Main St., East, Girard. A Masonic Service will be held there at 7 p.m. on Friday and all are invited to attend funeral services there on Saturday at 10 a.m. with Rev. Scott Shuffield officiating. Burial will be in Laurel Hill Cemetery with full military honors. Memorials may be made to Shriners Hospital for Children, 1645 W. 8th St., Erie, PA 16505 or to the First Alliance Church, 2939 Zimmerly Rd., Erie, PA 16506.